La Quinta Fairway Jewel! VIEWS GALORE! This updated 4 BD (incl. detached casita) + office, 4.5 BA home shows like a model & is situated in a prime, elevated fairway location along the scenic par 3 2nd hole at the renowned Mountain View C.C. Course. 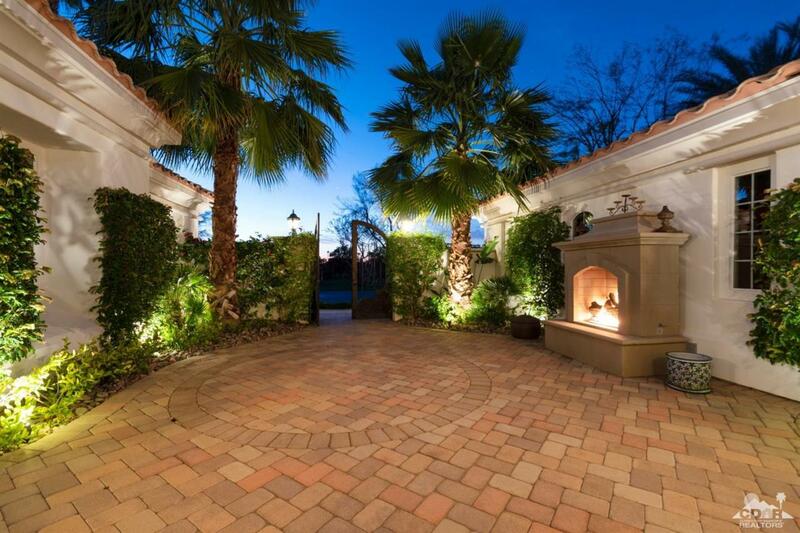 The gated front courtyard offers a water fountain & entrance to the detached casita w/ en suite bathroom. Features include: a great room w/ views, office w/wood floors, dining area w/ patio/ pool access, kitchen w/ granite counters, island & bar area w/ wine cooler & sink, master retreat w/ pool access, views & en suite BA, guest BD all have en suites & private patio access, guest living room that opens to the front courtyard. A true entertainer's dream, the spacious patio has a built-in BBQ island, fire pit & sparkling pool & spa & remote, wind-censored retractable awnings. Mountain View C.C. provides dining, entertainment, golf, tennis, pickle ball, bocce ball, putting greens, driving range & 18-hole golf course. Furnishings Available!